Utilizing composites in the manufacture of rocket and missile launch tubes can reduce the weight of the system, maintain fatigue and corrosion resistance, and allow for sub-system integration (metallic, non-metallic, cables) and complex surfaces. 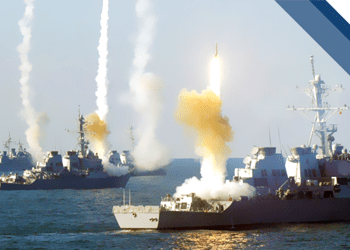 General Dynamics Ordnance and Tactical Systems has years of experience designing, producing and testing high-performance composite launch tubes of various shapes and sizes. We have the ability to design to specification or build-to-print. Our highly-skilled, multi-functional teams in Lincoln, NE manage each project from analysis and modeling through design and testing, with “cradle to the grave” responsibility. We have produced over 1.5 million launch tubes in sizes ranging from three to over 25 feet long for U.S. Military ground-launched and ship-launched missile systems. Composite Capsule Launch System (CCLS) Tomahawk: Lincoln Operations produces the Composite Capsule Launch System for the submarine launched Tomahawk missile. The internal diameter of the CCLS launch tube incorporates nonmetallic pads to cushion the missile during deployment, loading and handling. Line-of-Sight Anti-Tank (LOSAT): Lincoln Operations developed the launch tube for the LOSAT missile. The internal diameter incorporates a helical rail system for use in launch of the missile. Unmatched experience designing, producing and testing high-performance composite launch tubes of various shapes and sizes.